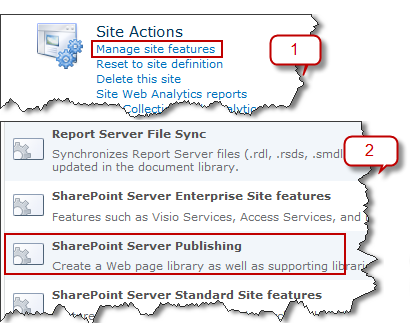 Access Denied on the site collection after migrating form SharePoint 2010 to SharePoint 2013. In SharePoint Client Object Model and after migration from SharePoint 2010 to SharePoint 2013 your Client Object Model code is running well when the page is Unpublished but once you Published it your Client Object Model Code is not working, don't worry this is not a bug but Microsoft did some changes in the "ExecuteOrDelayUntilScriptLoaded" method in SharePoint 2013 and renamed it to be "executeFunc"
Created site definition by using SharePoint 2010 and visual Studio which correctly creates all lists and includes pages instances in Pages Document Library, these pages use the correct custom page layouts which using the custom content types and therefore the page doesn’t work as expected. Then I opened the Library Settings from Pages Document Library and I didn’t find my custom content Type attached to the Pages Document Library. So how we can attach Custom Content Types to lists like Pages document library? 2- Add new feature to the Site Definition project, this feature just contains the new element that is already created with the above code. Finally you can deploy your package to the SharePoint and you will find your custom content types attached to the Pages Document Library. Good luck and I hope this information is helpful to you and Please feel free to write your comment. 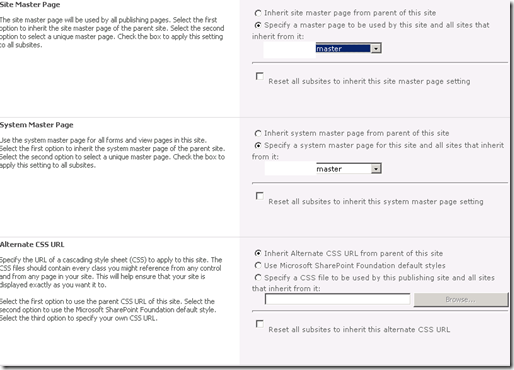 I created a blog site in SP2010 and I faced some problems and I will explain them step by step with each solution, after blog site created then from the Site Actions => Site settings, I didn’t find the master page feature enabled to change the custom development master page so you having to enable publishing features to be able to do this through the UI. After applying the custom master page to change, the new master page did not render on the blog site. And according to Microsoft Support (http://support.microsoft.com/kb/936908) this just happen if you using a template other than one of the templates on the Publishing tab of the New SharePoint Site page, and they suggested work around on this issue, to use system master to apply the custom master page and actually I don’t know if this is a bug in Microsoft or not but if you compelled you have to use this solution till now.